When your kids are home on the weekend and the weather is not cooperating there is nothing worse than hearing the dreaded “I’m bored”! Unfortunately, that means you actually have to come up with ideas for something to do! Not to worry, we have you covered! 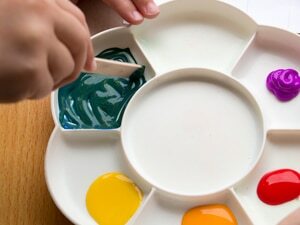 There are so many fun art and craft activities you can do with your child to encourage their curiosity and creativity. How about fun with Rainbows? Rainbows are beautiful and magical. And are sufficiently rare to cause both kids and adults to shout “look a rainbow”! Rainbows are also a fun way to explore and learn about colours. The colours in the rainbow are red, orange, yellow, green, blue, indigo, and violet. A fun way to remember the colours is to use an anagram. “Can I introduce you to Roy G. Biv“. 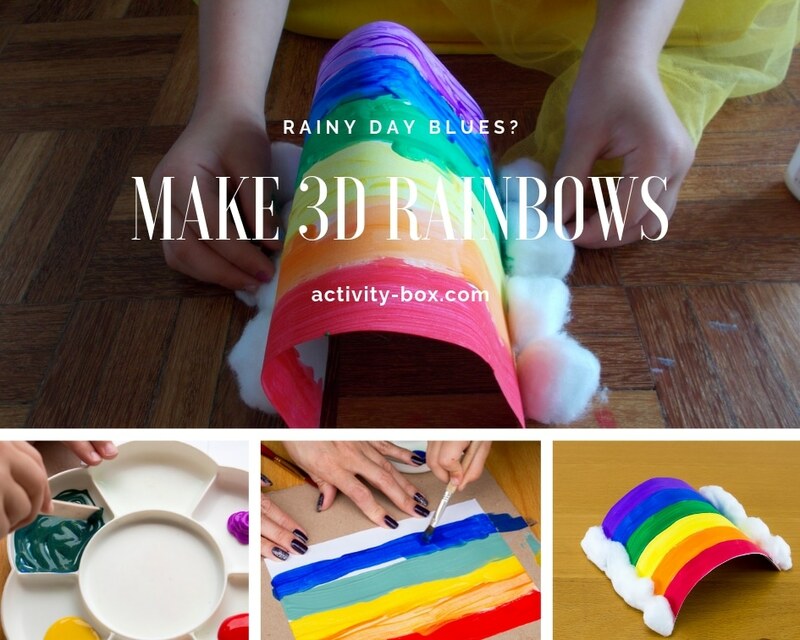 There is a lot of science behind how rainbows are formed, but an easy way to keep it simple and fun for kids is to get hands-on and work with paint. When you mix red and yellow you get orange. Mix yellow and blue to get green. What colour do you get when you mix red to blue? (Purple is close enough!) This is how we get all of the colours of a rainbow! Do you need any more encouragement? I think not! 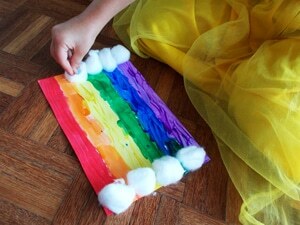 A rainbow art and crafts activity for kids is on! If you have all the colours in a rainbow you are ready! If you only have red, yellow and blue, then let’s mix! Red + yellow = orange. Yellow + blue = green. Red + blue = purple. Step 3: Let’s paint our rainbow! Let’s make a rainbow! First divide the paper into 6 sections using a ruler and pencil. Make a mark every 4cm as a guide and help your child make a line across the paper. Starting on one end paint the first row red. Which colour comes next? Orange. Continue painting each row in order (red, orange, yellow, green, blue, purple). Take out cotton wool balls and show your child how to gently pull them apart to elongate them. 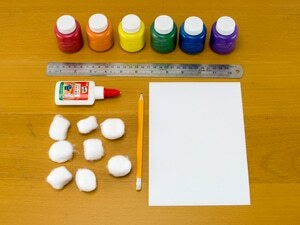 Add white glue along the edges and stick on the cotton wool. Let dry. These will be the clouds. 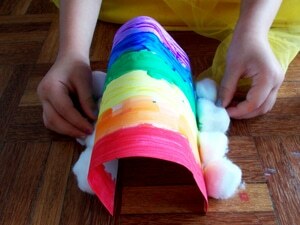 To form your rainbow arch roll the card around an empty kitchen or TP roll and hold for 10 seconds. 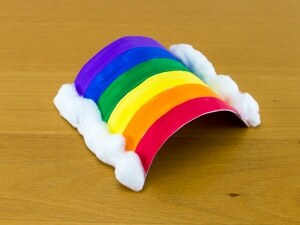 I hope you and your children like our rainbow art and crafts activity for kids!